How Do I Get a USGA Handicap Card? What's your handicap? You'll need a USGA-approved home club and a clean scorecard. The United States Golf Association handicap system was designed to allow golfers of varying skill levels to compete against each other. A handicap is the measure of a player's skill level relative to par for the course he is playing. To apply established handicaps on golf courses of different levels of difficulty, a USGA handicap index is used to determine the course handicap where you are playing. To obtain a USGA-sanctioned handicap, you must belong to a USGA-certified golf club that has at least 10 members and meet minimum playing requirements. Find a golf club that is a USGA member in good standing and offers handicapping services. A golf clubs that offers these services usually advertises them on its associated golf course's website. Or you can visit a golf course to find out if it is associated with a USGA-member golf club that offers handicap services. Register with the golf club to qualify for a USGA handicap. You will pay handicap and local dues to qualify for a handicap. 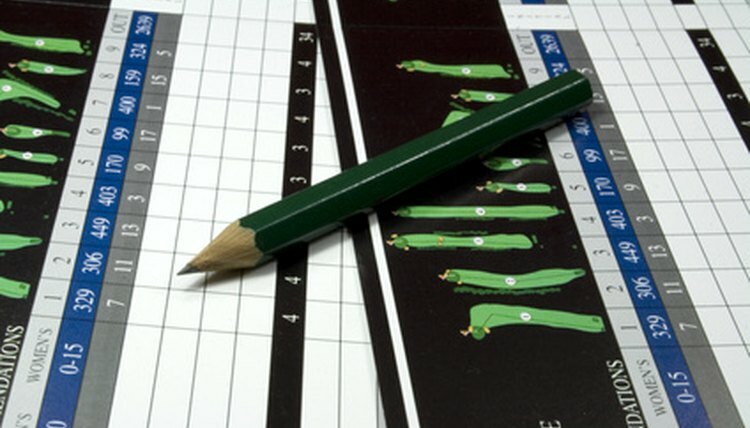 Enter your scorecards on the club's handicapping computer as you complete rounds. You will need the complete scorecard to make your entries. Check the handicapping computer for your first handicap index after you have entered five rounds. The USGA handicapping formula requires you to enter a minimum of five rounds to receive a handicap index. Continue to enter the results of complete rounds into your club's handicapping computer. The most recent 20 rounds are used to calculate your current handicap index. Verify the minimum number of club events you must participate in to qualify for a USGA handicap card. The USGA's peer-enforcement policy requires a minimum of one club event and three rounds to be completed before you can receive your USGA handicap index card. Your club president will coordinate your card delivery from the USGA after you have completed the minimum club-level activities in addition to the handicap establishment requirements. What Is the Meaning of a Scratch Golfer?